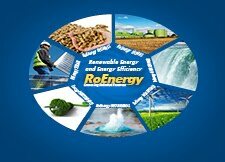 Home » Markets » Energy Efficiency in the Industrial Sector of Moldova. Energy Efficiency in the Industrial Sector of Moldova. The priority policies and actions sets by National Energy Efficiency Program (NEEP ) shall be implemented during 2011-2020 in order to meet the challenges emerged as a result of energy prices increase, dependency on imported energy resources and the impact of the energy sector on climate change. The sector of energy import has the value of 94.8% in the country energy balance in 2013 year. Increased energy efficiency should lead to reduced dependency on imports and could have significant financial benefits on national budgets. - reducing the GHG emissions by 25% until 2020. - support of country's Gas Emanation Reduction and energy security goals.